This one is now the reigning 2-mile Region Champion. 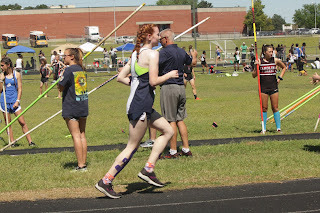 She also came in 2nd in the 1 mile and anchored her 4x800m relay team to 3rd place (they were in 4th when she got the baton). Congrats to her. Great job.